Aren’t these colors and that very subtle stencil design just yummy! Heidi used a sentiment from this set today. Several purchase options are available so you can pick up just what you need. 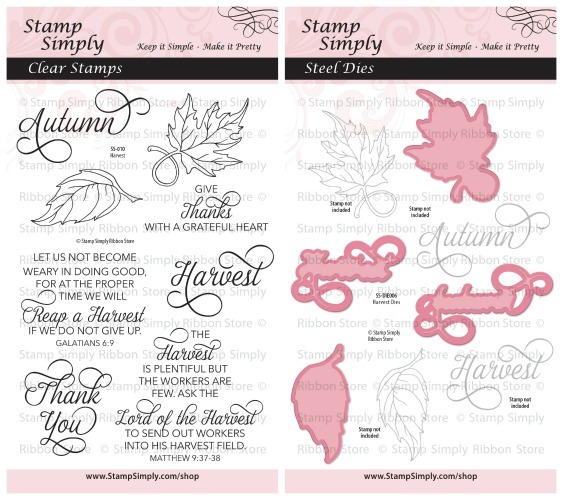 Find all Stamp Simply autumn themed stamps and dies here. Find all stamps and dies by Stamp Simply Clear Stamps here. Find all autumn themed items in stock here. A bit of stenciling goes a long way to adding warmth and depth to a project. Find all stencils in stock here. An array of colors are available – GORGEOUS FLOWERS! Find all flowers in stock here. May Arts Burlap String – Brown used today in a fun, loopy fashion! This string is perfect for your autumn and winter creations. It is available by the yard, spool or in a number of fun sampler packages – check it out! No craft room should be without this ribbon staple – it works everywhere, all the time! 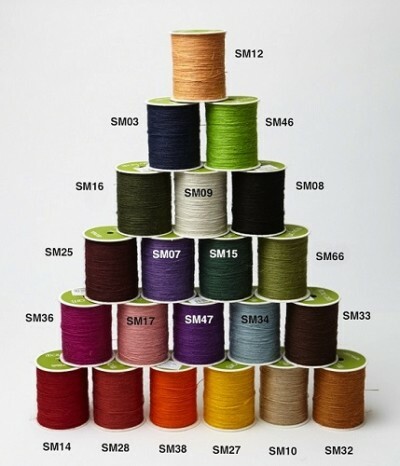 Available in 13 colors by the yard or full spool. 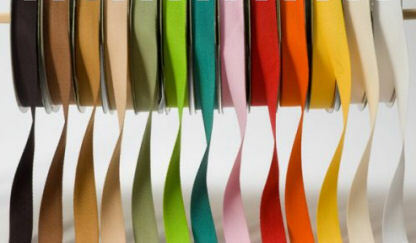 Find a variety of other twill ribbons here. We stock all 24 colors – both releases of 12 each are in stock! Get all 12 colors for the price of 10 when you purchase the bundle. 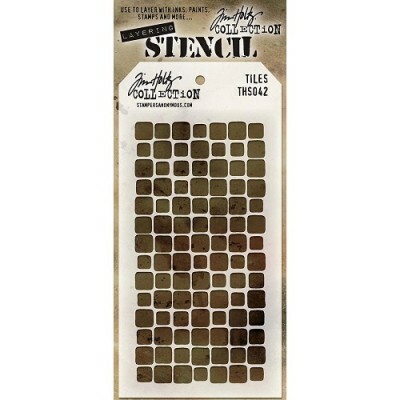 Tim Holtz Distress Oxide Reinkers are in stock as well. What Else is HOT Right Now? Tim Holtz Stamp Platform – get perfect impressions EVERY time! Tim Holtz Distress OXIDE inks and refills are in stock – SETS #1 and #2. Find our Spring 2017 Release & Summer 2017 Release and SAVE by purchasing the combo offers. TONS of pretty PRIMA products were just added to our 40% OFF sale bin & SO MUCH MORE! Lots of RIBBON is on sale, too! 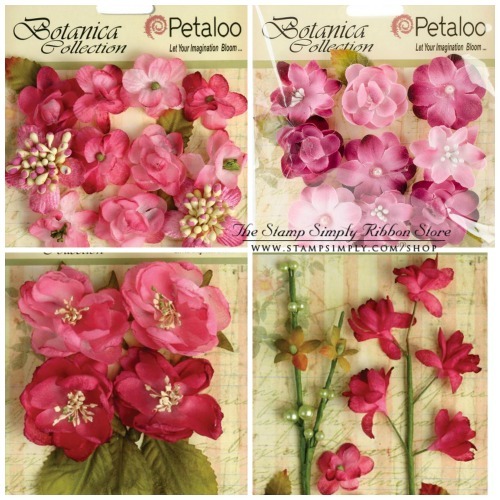 Find the NEW May Arts Variegated Silk Ribbon here – SUPER LOVELY! Luxury Pearlescent Metallic Cardstock – beautiful for those special projects! View our Halloween products here. View items in our Autumn section here. View items in our Christmas section here. View items in our Christian/Scripture category here. View items most recently put on SPECIAL – GET THEM BEFORE THEY’RE GONE! Our LARGEST STAMP CLOSEOUT SALE EVER!!! And we recently opened an INSTAGRAM account, so you can follow us over there, too! Specials and newsy items are sent out via a Constant Contact Newsletter once or twice a month. Would you like to receive our Constant Contact Newsletters? If so, you can SIGN UP HERE. We’ll be back soon with more projects.